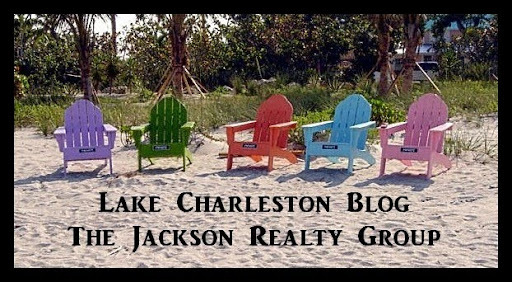 Sell your Lake Charleston home for all cash? We have a way to do that! Lake Charleston home that no other agents are doing! Bad Credit? Had a short sale or foreclosure? I can help you buy a house! This week I had a meeting to discuss the details of the launch of a new type of lease-option program for my clients. This is very exciting news for the thousands of people looking to do a lease option the ability to lease option a very wide range of homes. Our program is unique as it allows people who would not qualify for traditional home financing due to a short sale, foreclosure, or credit issues to select the home they would like to buy at some point, have our investor purchase it, and have a long-term lease with the option to purchase WITHOUT having to make the typical large, non-refundable option payment. Since the market crash I have had dozens and dozens of people asking me to help them find a seller that would do a ‘lease-option’ or hoping to find someone to owner finance. This has always been (until now) a very difficult goal to accomplish as the minute number of sellers that would consider a lease option for their home are looking for a significant non-refundable deposit to be included. These clients, and thousands more like them, are not able to buy at the present time for any number of reasons, but need the security of a long-term housing solution and typically are very specific about the school district they need to be in. They don’t want to pursue a standard rental and the uncertainty that comes along with it…the owner can decide to not renew the lease, sell the house, or even let it go into foreclosure forcing the tenant to move every year and uprooting their family over and over. What makes my new program so unique is that, once approved, the buyer/tenant gets the ability to go and shop for the homes they want to eventually buy (within their approved budget) and once a home is identified, our investor with my assistance, purchases the home as a cash sale for the buyer/tenant. After the normal inspections, the sale can close quickly as there is no financing involved. Sellers who may have been unable or reluctant to do a lease option themselves get the benefit of a quick, cash sale. The buyer has the flexibility to move in with much less than the typical lease option would require too. A security deposit, and first and last month’s rent is typical. Much less than would be typical for an owner financed purchase. Right now in Palm Beach county there are under a dozen homes that have offered non traditional financing, or lease option programs (and they require a big, non-refundable deposit). But now I have a way to satisfy sellers looking for a hassle free sale, and to help buyers that are looking for a lease option program. The basic criteria we look for with the buyer is steady income, no serious criminal history, and a minimum household income of $50,000. With regards to homes that qualify we allow homes priced up to $500k and homes that are in good school districts. If you think that this program may work for you, give me a call right away at 561.602.1258 to set up your initial meeting. Regardless of credit issues, a prior short sale, bankruptcy, or even a foreclosure this could be a new way to get your family’s next home. I am very excited to have this great option to give families the housing stability they need in the school districts they want with the prospect of buying their home in the near future! Call me today to see if you can pick out your new lease-option home! What are the maximum concessions (Seller-paid costs) a buyer can receive from the seller, realtors, and other parties in a real estate transaction? Conventional: When a buyer is financing a primary residence or second home the conventional guidelines base the allowable concession on the buyer’s down payment. Buyers who put less than 10% down can receive up to 3% of the sales price in the concessions. With 10% - 24.99% down the concession can go up to 6% and with 25% down or more, can up to 9% of the sales price. FHA: This is a little bit more liberal. They allow 6% in contributions with FHA’s minimum down payment of 3.5%. VA Loans: They are even more liberal because they will let interested parties pay for all of the Veterans closing costs plus another 4% for other costs related to the transaction. VA allows 100% financing, so they can move in with literally no cash out of their pocket. IF YOU WOULD LIKE TO TALK TO US ABOUT GETTING IN TO A HOME WITH LITTLE OR NONE OF YOUR OWN MONEY…GIVE ME A CALL. Back in early to mid 2011 the market value of homes here bottomed out. Then several big hedge funds started scooping up everything under $300k…with ‘all cash’ offers. Home prices/values had been on quite a tear since…until recently. What happens from here is difficult to predict. With the elections having just tilted back towards the Republicans we should quickly see if this translates into a more robust economy/jobs/business environment. The current market may look like a ‘standoff’ between sellers and buyers. Positive feedback loop: buy because prices are increasing, don’t put your house on sale because next year you can get 15 percent more. All of a sudden you have low inventory and rising prices, further feeding the loop. Negative feedback loop: prices are stalling, let’s wait to see where they are in a year. Let’s sell that house now before prices fall further. Let’s not forget, there is a lot of investor housing bought in the last 36 months that may quickly make it back on the market once the price gains stall out. I’ll keep an eye on this…you keep an eye on this blog. …that can cost you tens of thousands of dollars (and waste a lot of your time)! Did you know…..most agents list homes at a price where the property WILL NOT SELL?! In fact almost 70% of homes listed today are initially listed overpriced, meaning that they require one or more price reductions before they sell. For some reason, most agents don’t want to admit that little-known secret…that agents typically price homes where they will not sell! You may be saying, “OK…so they priced it too high initially…no big deal…we can always come down.” But here is the shocking truth…..
1. The “WWWTH Syndrome” (see above) causes buyers to offer less for your property…if they’re willing to make an offer at all. 2. After price reductions, buyers and agents perceive an increased motivation from the sellers so they make lower offers thinking you are now desperate to get an offer. It doesn’t matter if it’s true or not…their perception costs you. "...Beware of agents who set the list price on homes at unrealistically high levels simply to get listings. They will tell you what YOU WANT to hear…because they are AFRAID if they tell you the truth up front…they might not get the listing. DO YOU WANT THE TRUTH?" 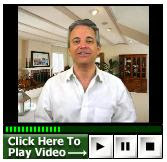 Real estate trainers even have a name for this tactic…it is called “Buying a Listing”! I will always tell you the truth. And the THE TRUTH IS…I don’t want your listing. I want to help you get WHAT YOU WANT…which is to get your property SOLD, within your timeframe, for the BEST PRICE AND TERMS. If that is what you want…LET’S TALK. 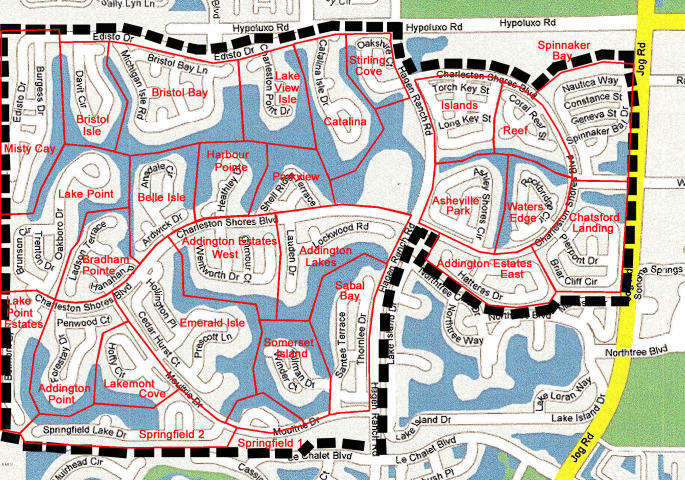 Are you tired of the rules and restrictions of a homeowners association? Do you have a boat, motor home, work trucks, etc. that you’d like to store at your home? Would you like to have a big workshop next to your house? Do your elderly parents need your help and watchful eye now? Are the just-graduated kids moving back home? We may have a great solution for you…we just signed an agreement to market a 1.4 acre piece of property a short distance from Winston Trails, Journeys End, Smith Farm, Lake Charleston and Lakeview Estates. It is a heavily wooded, private parcel ready to be cleared and transformed. It is surrounded by other large parcels providing extra privacy. We even can recommend a great, local, custom builder/engineer to help you with your plans and construction. Call me today before we release this opportunity to the general public. Prices were up 11.7% in the first nine months of 2013, but fell 0.3% in the fourth quarter. And, the latest housing news has been bad.January existing-home sales fell to an 18-month low. And home construction in January recorded the biggest month-over-month drop in seven years. March comes in like a lion and goes out like a lamb. As March comes in this year, the housing sector continues to roar ahead with good news, while other sectors are struggling. NAR says the housing market will continue to experience a growth in home sales, provided the job market continues to improve. As a seller or buyer, it’s difficult to know what to believe. Are prices rising? Is inventory low? Should you sell now or wait? Should you buy now or wait? Here, in Palm Beach County, it looks like the market peaked in August, 2013 after a bottom in early 2011. An additional signal is the inventory levels have risen about 25% from the beginning of September 2013. Where is our local market headed this year? I think I know what the indicators are and where they are pointing. My business has been built upon giving highly personalized advice based upon my client specific needs and goals. No one answer is right for all sellers or all buyers. And you can’t rely on the media to give you all of the ‘unbiased’ data and analysis required for you to make an educated decision. Sorry to start out 2014 with a bad-news post…but writing about all sides of the real estate market is how I roll! On December 31, 2013, the Federal Housing Administration (FHA) reduced the loan limits for its single-family insurance program in 652 counties, while increasing them in 89 counties. The changes result from the expiration of provisions of the Economic Stimulus Act of 2008. In Palm Beach County, the FHA loan limit for 2013 was $423,750…which meant that a buyer could obtain an FHA insured loan for $423,750. Typically, buyers choose the FHA loan route for 2 reasons: 1) they have little to no down payment, or, 2) their credit score would not enable them to obtain convention financing. With an FHA loan, a buyer could purchase a home with as little as 3.5% down. On the aforementioned 2013 limit, that would have been a home sales price of about $439,000. But starting now, the maximum loan amount for an FHA buyer is only $345,000! A $94,000 reduction…almost 20%! This new loan limit will translate into a new maximum purchase price of about $358,000. Lets look at what effect these new limits would have had if we overlay the 2014 limits on to 2103 loans. In 2013, there were 2301 FHA home sales (about 5% of the total sales) reported in MLS statistics. Of those 2301, 127 of them fell above the 2014 limits. This doesn’t necessarily mean that those 127 sales would not have happened in 2014 limits were in place, but in my 15+ years of experience I have found that the great majority of FHA buyers do not have much money for the down payment and that is why they pay the higher fees and higher interest rates associated with FHA as FHA is about the only game in town for this type of buyer. So lets assume that 20% of those FHA buyers could have financed the loan another way…that leaves 100 sales between $357,000 and $439,000 that would not have been possible (or will not be possible this year). No matter how you interpret it, losing 5% of your prospective buyer pool is not good for home sellers in 2014. Another interesting and potentially impactful statistic: in 2013 there were 767 all cash sales in the $357k-$439k range. This equates to 43% being cash sales. The all cash sale market is expected to contract again this year as investors/hedge funds continue to scale back on purchases as prices have risen 25% or more since the bottom in mid 2011. All-in-all, I foresee a tightening of the real estate market going forward this year. I am of the opinion that sales prices will be flat-to-negative. But on the flip side…for the (non FHA) buyer, buying sooner rather than waiting will be advice I will be comfortable giving seeing as how interest rates are expected to continue climbing (with the next ‘taper’ on the horizon) and as underwriting rules are going to be getting tougher. This blog and its contents are not affiliated with or endorsed by Lake Charleston community, foundation or association. DISCLAIMER: Some of the information on this blog may be derived from RMLS, Inc. This representation is based in whole or in part on data supplied through various participants of RMLS, Inc. RMLS, Inc. does not guarantee or is not in any way responsible for its accuracy. Data maintained by RMLS may not reflect all real estate activity in the market. Additionally, The Jackson Realty Group Inc. is not claiming that they are the listing OR selling agent on any of the above properties. All information is provided for information purposes only and all information contained herein is readily available through various sources accessible to the general public.